To the right of light blue n°4 bis, 30m to the right of Faux Contact. 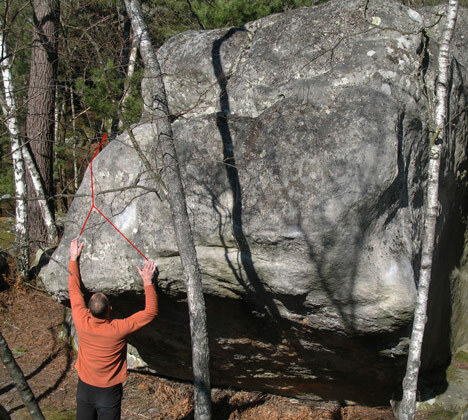 Standing start with a good hold right hand at an old blue triangle, dyno to the left arete and exit in that one. NB : first known réealization by Ludovic Lefebvre and Tony Fouchereau.